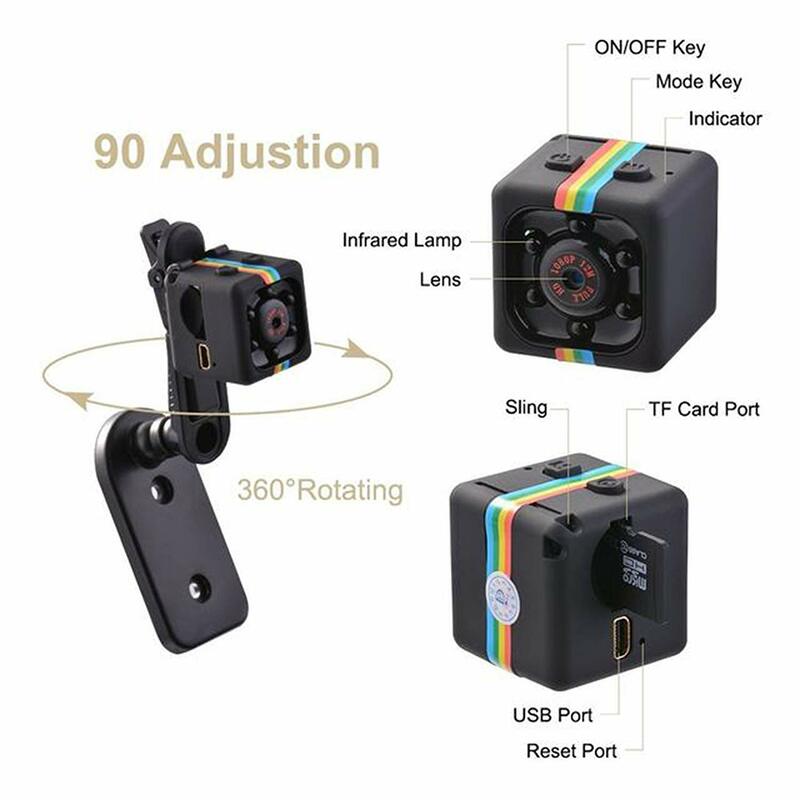 The Mini Anti-Theft Night Vision Stealth Camcorder is designed as a micro cube that acts as a spy cam which can record both photos and videos without detection! This hidden spy camera is easy to use and has excellent quality. You can install it on a desk, on the wall to monitor your home security, or even put it in your pocket to record what you want without detection! When objects move close by, it will intelligently detect movement and captures every moment. It is perfectly suited for homes, kids rooms, offices, cars, warehouses, outdoors and more! 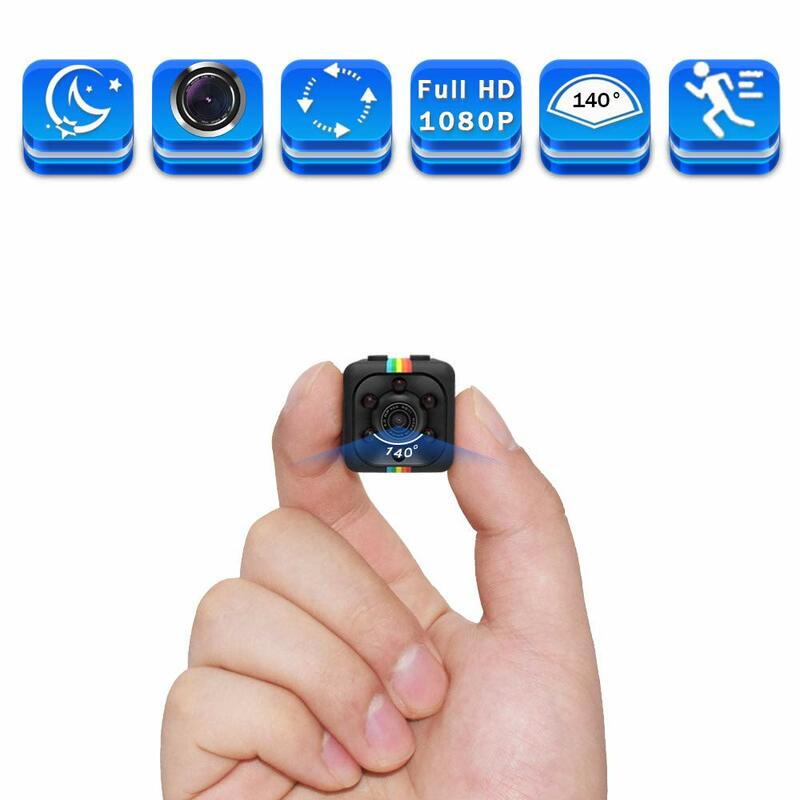 Night Vision Camera – This miniature camera delivers a fantastic experience with full HD video quality, 1980 x 1080P, 30 FPS, and 140° wide-angle. Enhanced IR LED ensures a clear display at night. Motion Detection – This mini spy camera records video when detecting movement and when the motion detection function is on. This allows for saving of memory storage and longer use time. Mini and Portable Size - Because it is small and compact, you can use this mini cam anywhere you can imagine! Easy To Use - Just press the mode button with a Micro SD card (not included), and it can switch from recording to snapshot or motion detection. All files will be saved automatically.